Some hotels give themselves airs and graces through their names “Grand”, “Splendid”, “Imperial”, that kind of thing. Sometimes the reality matches the name, often it doesn’t. We’ve had the pleasure of staying in one that absolutely matches its name. We have a long and extensive itinerary for our South American trip, and we will have many varied experiences before we get home in April – trains and boats and planes (and at least one coach journey). The descriptions of our various accommodations have been very complimentary about how nice they will be. Puerto Natales is a very small town – a very small town – and I probably subconsciously allowed this to affect my expectations about what our hotel near there, called the “Singular”, would be like. Such expectations weren’t heightened when we approached, down a bumpy, rutted track, what appeared to be a ramshackle selection of brick buildings with red painted corrugated iron roofs. The reality was different from, and vastly superior to, anything I might have imagined. 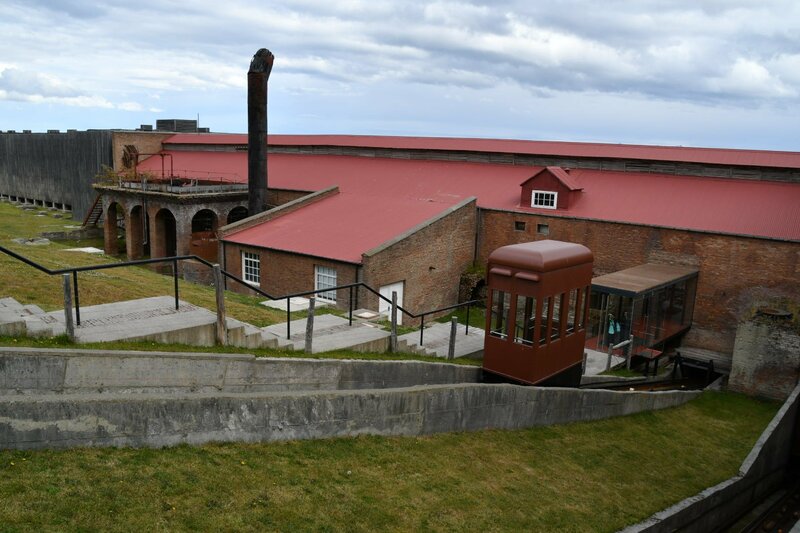 The buildings are from a century-old factory which processed sheep – hundreds of thousands of them at a time – canning them, freezing them, creating leather, rendering the carcases for tallow. It was, in its time, a huge business. After the second world war, it went into a decline as demand for canned lamb (for soldiers), wool and other products declined. After it shut down, it was made into a national monument and a museum. Then it was turned into a hotel, with the fixtures and fittings of a top-quality luxury hotel beautifully merged into the original buildings and museum – many parts of the old infrastructure have been preserved and can be walked around. The only major structural change has been to change what were the freezing chambers into a set of ocean-facing (and very luxurious) bedrooms. 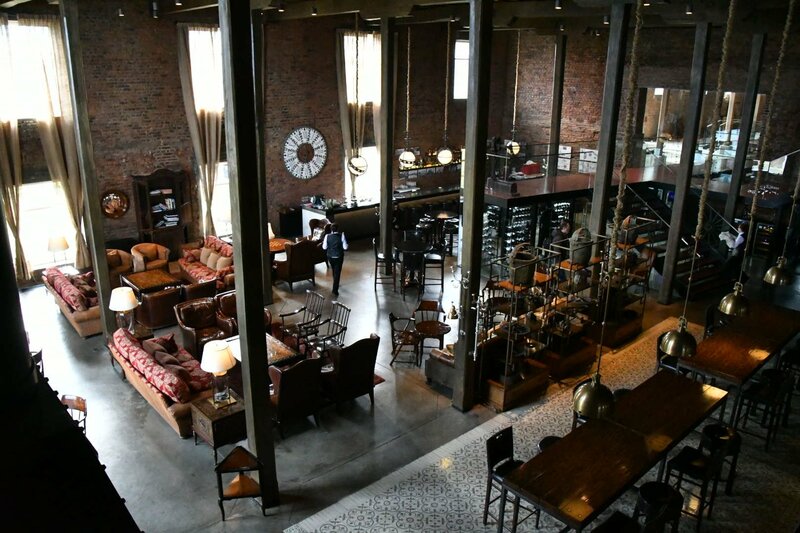 Other parts of the building have been made into an excellent bar and a superb restaurant. 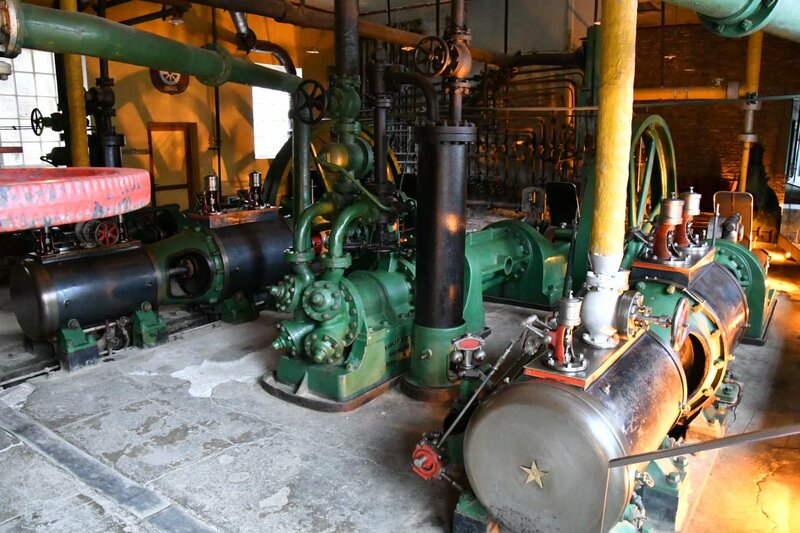 One of the great charms of the place is that walking from one part of the hotel to another takes you past some of the old machinery (such as steam and diesel generators), which is largely English and lovingly restored. Seeing it reminded me strongly of the engine rooms beneath Tower Bridge in London – the machinery is of similar ponderous scale and the smell of old machinery and oil is utterly distintive. One thing that delighted me utterly and made me fall completely in love with the place is something that greets you pretty much on first entry. You arrive in a large shed, go through the entrance to a check in area, and the staff (who give excellent service) invite you to go down to reception, pressing a button to summon what you’d think would be a lift. 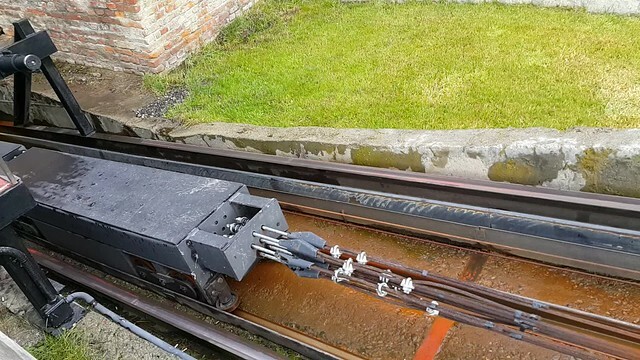 But it isn’t – it’s a funicular railway; absolutely part of the original building but now a charming way of leading guests to the reception area. The hotel experience is as good as anything I’ve ever experienced – very comfortable, large, well-organised rooms, excellent service, fine food, superb decor. It’s a superb place to stay and one I’d heartily recommend to anyone. One Response to "A Singular Experience in Puerto Natales"